Recently, I've been using my small chunks of free time on the weekends to catch up Playstation 3 games. I love gaming, but I tend to frolic about more in classic gaming territory and computer games because a lot of the genres I like have been unfortunately under-represented on the PS3 console. But a trip to a local used game store reminded me that there were a couple of games I'd seen on Unskippable that I wanted to try, and I picked up Hyperdimension Neptunia and Atelier Ayesha: Alchemist of Dusk. The two games form interesting counterparts to one another; they're both Japanese games with anime art style, and they both feature huge ensemble casts composed mostly of female characters, almost all of which are wearing outfits which don't strike me as terribly comfortable or convenient for combat: too much delicate lace and vulnerable skin showing, and a wide variety of truly uncomfortable-looking shoes. And yet I ended up making wry faces through the first couple of hours of Hyperdimension Neptunia before giving up ad ruefully setting it aside, whereas I was almost immediately engrossed in Atelier Ayesha and have been deeply regretting that I don't have more time available to play. So today I'd like to dig through those reactions for a bit. Also: Spoilers ahead. 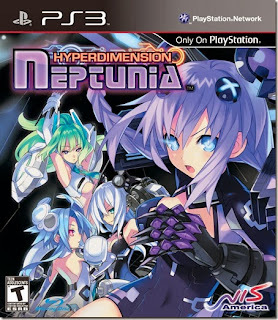 Hyperdimension Neptunia has the kind of plot I desperately want to like: the whole game is a tongue-firmly-in-cheek metaphor for the console wars where the Goddess of Lowee (which everyone blatantly pronounces as "The Wii") has an intense rivalry with the Goddess of Leanbox (XBOX), while the Goddess of Lastation (Playstation) stands in the background and snarks at the both of them. It's my understanding that eventually all four goddesses (Neptunia represents a game console which was ultimately scrapped and never made) have to join forces and go beat up an evil goddess who represents game piracy. But as much as I love the idea of a game that makes fun of the console wars and mocks the fannishness that gets built up around game consoles, I ended up setting aside Hyperdimension Neptunia because the hyper-sexualization of the characters just bored me to tears. And yeah, I know that misogynists like to assume that all feminists are frothing at the mouth looking for things to be ragey about, but the reality is that I can handle battle bikinis if the Strong Female Characters wearing them actually have interesting things to say and do (and given the culture I live in, I pretty much have to accept that sort of thing from time to time if I want to engage with popular media). But when all they do is stand around whittering on about rivalries based on breast size, it's just so much dull boring yawnville in my head. So I set down Hyperdimension Neptunia and turned to Atelier Ayesha, which is about a weak teenager who hasn't been in combat in her entire life (and enjoys it not at all) because instead of being a Combat Goddess Representing The Playstation 3, she is instead a professional maker of medicine who meagerly supports herself by selling her wares to the local peddler. However, after a freak encounter with a glowing vision and a traveling alchemist, she loads up everything she owns on the family cow and vows to travel as long and as far as it takes to rescue the sister who has been missing-presumed-dead for three years. My impression of the prior Atelier games (which I haven't played, but am now thinking maybe I should give them a chance) was that they were based around the whole combining-items-to-make-new-owes alchemy concept, but with a marketing push towards girl gamers which seemed to hinge on the mistaken assumption that just loading more bows and pink ribbons into the game would spell instant commercial success. 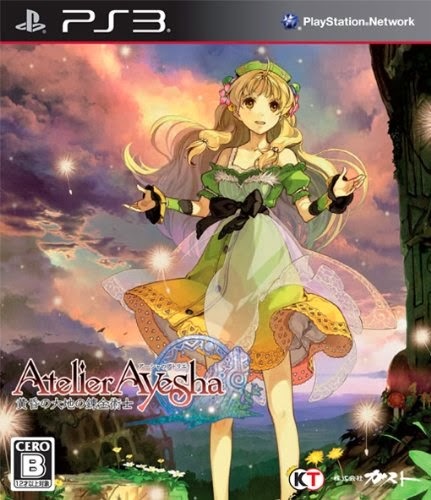 I picked up the Ayesha installment because the main character was dressed relatively sensibly (for an anime character) and was reasonably calm (again, for an anime character) and the whole introduction struck me, as I tried to explain ineptly to Husband, "like a game that was made BY women instead of FOR girls." Playing Atelier Ayesha only deepened that initially vague feeling. This game has loads and loads of characters, most of them female. At first glance, most of them roughly align to an existing anime stereotype (the innocent one, the boisterous bottle fairy, the bossy younger one, the career-oriented older one, etc.) but a few cutscenes will quickly dispel easy categorization. Boisterous carefree combat girls will turn out to have kickass tailoring skills; serious women who seem not to have a life outside their career will turn out to be investing a great deal of time in life coaching for no ulterior reason beyond that they care; the bossy girl who seems like just the sort to use people to her advantage never actually gets around to using you and instead turns out to be both kind and a surprisingly adept and patient teacher (especially interesting in a game which points out that teaching is a difficult process which not everyone has the talent to perform). * The difficulties of balancing a highly demanding career (as in, the kind where you travel constantly and could be eaten by monsters at any moment) against the desire to fall in love and start a family. * The dilemma of whether or not to pursue a dream job when it comes bundled with an abusive and demanding privileged boss. * The benefits and drawbacks of having a teacher versus being self-taught in a craft, and trying to strike a balance between the two. * The tension between conflicting family obligations (such as "be a badass dragon hunter because tradition" and "but also, don't get killed because you need to take care of your little sister"). * The changes that can occur as a body gets older, and learning how to deal with those changes while still accomplishing goals (as in in the context of not having the same energy level when younger). * The difficulty in choosing a profession, or in choosing something different from what you were expecting to do. Also, the fact that some professions exact a toll which can't be paid forever. * The balance between accomplishing short-term and long-term goals (such as accessing a local ruin right now versus maintaining a trusting relationship with the locals even if it means waiting). * The frustration felt when working in a predominantly male career with men who sexually harass you even when they're ostensibly your friends and you're a better worker than they. * The ideological differences between a life lived for work and community versus a life lived for introspection and self, and finding a balance between two extremes. * The fact that people from different cultures can value things differently, and the importance of interacting with people from different cultures without taking advantage of them or causing harm. * The reality that tools (like machines and magic) are neither inherently good nor evil, but rather it is how we use them that matters, with a lot of interesting side discussions on environmentalism. And that's just off the top of my head; there's a lot of really mature and interesting themes touched on in this game, and in ways that I and other women talk about things. This isn't just Bechdel-passing; it's actually repeatedly and consistently and almost-constantly portraying women as people who talk and think about people-y things, rather than treating women as breast-owning objects who exclusively talk about breasts and being female. I love it. I especially love the depth of characterization, not only in the not-a-total-anime-stereotype sense, but also in the sense of undermining gendered expectations and cultivating inclusivity. Ayesha's childhood boy friend (as in, a friend who is a boy), who I thought would be a Designated Love Interest, is instead not only totally comfortable in a non-romantic and parentally-nurturing role for Ayesha, but also has no problem with Ayesha calling him "mother". (And given that later you find a possible-translation-error in an advertisement flyer with Ernie's name rendered Annie, my head-canon is that Ernie is a trans woman who goes by Annie when she's traveling to new far-off areas.) Ernie is a badass peddler who has survived deadly blizzards and falling off of cliffs but also loves to sew ribbons and goes ga-ga for cute stuffed animals, because why not? Linca, a female bodyguard, is a genius with a sword but utterly hopeless with literally anything else, making her interesting to me if only because that characterization is usually reserved for beefy male party members. Juris, a stoic male hunter who joins the party and who may not be neurotyical (he reminds me strongly of my aspie husband), turns out to have an unexpectedly playful side -- and while I usually hate pranks with every fiber of my being, I forgave him just because it was so delightful to see The Quiet Stoic Guy manifesting such a childish personality twist. The elderly gumpy mentor who is the only person in this ensemble cast who makes me feel stabbity ended up being impossible to hate after he threw a childish temper tantrum at the revelation that Ayesha knew a piece of local folklore trivia that he didn't; every blah, blah, blah I know more than you lecture after that was super-imposed in my mind with the image of him clapping his hands over his ears and singing la-la-la so that Ayesha couldn't demonstrate further I-know-more-about-my-hometown-than-you trivia by accident. Who's the big alchemist baby again, Mr. Mentor? 'Cause it's not me, lol. Even little things about the characters delight me. When the girl who went into prospecting because it was her father's job later reveals that her dad was injured in a mining accident and she's working to support her younger brothers and sisters, both I and Ayesha were all, "oh, geez, I didn't realize he was dead," and Regina was all, "no, he just can't mine anymore. He's a farmer now." Well slap me with a spatula and call me a pancake! You mean you can have injured parents and needy siblings in an anime without the injured parent also being dead?! It's not that this level of restraint is entirely unknown to me, it's just that I'm so used to writers going straight to the Serious Business in the mistaken belief that grimdark equals instant drama and human pathos. But since Atelier Ayesha doesn't reach straight for the grimdark stereotype every time, it ends up feeling far more real to me than a lot of other properties I've encountered lately. Which isn't to say that Atelier Ayesha is perfect. The game has an uncomfortable relationship with fat acceptance; the occasional admonishment that curves are beautiful or that skipping meals as a form of weight control is unhealthy doesn't really counter all the repeated messages that thinness is desirable and that women have a responsibility to be both thin and beautiful. (There are also no overtly fat or scarred or not-conforming-to-social-beauty-standards characters in the game.) I've already mentioned the presence of pranking in the game, and it's one of the worst kinds of pranking: messing with someone's food without their knowledge or consent. And there's a couple of "joking" scenes wherein sexual harassment occurs (in the form of non-consensual touching) but it's supposed to be okay because it's "harmless" woman-on-woman and woman-on-man harassment. This is yet more evidence that nothing is perfect, but I really hope the writers would excise this material from the slated sequels because no thank you. But in spite of its faults, the complex writing finally caused me to understand what I meant when I said that Atelier Ayesha struck me as a game made by women instead of for girls, as well as why I was so ready to set Hyperdimensional Neptunia aside. It would be very silly for me to speculate that only women worked on the Atelier Ayesha game development, and I even doubt that only men worked on the Hyperdimensional Neptunia game. (The latter is possible, given the male dominated gaming industry and the sexism woven into the culture, but is still not a guess I'm comfortable making.) Women can work on Fail things and men can work on Win things. What differentiates the Win things from the Fail things isn't the gender of the creators but rather their mindset with regards to women (as well as other marginalized groups). A game (or a book or a movie or whatever) which treats both its female characters and its female audience members as objects is pretty much going to be Fail. The female characters won't sound like people, because they weren't written as people, and they'll talk about subjects and talk about them with mannerisms which come across as stilted and fake. *beep* *boop* Your breasts are bigger than mine, insert statement of aggression. *beep* *beep* I am a female and therefore enjoy sweets and shopping and nothing else. *boop* *beep* There are other women in the room; commence lesbian overtones or bitter rivalry as appropriate. Etc., etc., we've heard it all before. I'm not saying that no women on earth have ever lived as an anime stereotype, but I am saying I've yet to meet one. And the marketing for the game which believes its female audience to be Not Real People will concentrate less on marketing the game to people and more on sticking glittery bling all over everything in an attempt to appeal to the part of our female brains which requires us to shell out money for anything that is sufficiently adorable and/or pink. But the game which treats its female characters as actual people, with complex and varied personalities and with backstories which influence their behavior (rather than their behavior stemming from a mathematical confluence of femaleness and bra size) is much more likely to be Win -- or at least to have Win elements in it. The female characters will talk about shopping and food and 'girly' things alongside discussions about parents and careers and politics and environmentalism and treasure hunting and job security and goals and hopes and dreams. And they'll even have different opinions, informed by their established characters, like actual people in the real world tend to do. Because women are not a monolith. And because those game developers realized that women are people with normal unique people-y differences, the characters in the game (and therefore, one hopes, the images used in marketing the game) will have different clothes and different rooms and different styles and won't all manifest as the same person with different shades of pink and slightly differently-shaped ribbons festooned from everything. Because not all women love ribbons. For example, here are images of Atelier Ayesha characters looking different from each other by expressing their unique personalities via clothing differences. And here is a NSFW image of Hyperdimensional Neptunia characters all looking precisely the same minus hair color. The difference between by women and for girls isn't, I think, really a difference in the genders of the developers. Instead I think it's a difference of perspective: one dev team saw women as people and the other dev team apparently saw women as objects. But I do think gender can come into play since, for rather obvious reasons, women tend to be less likely to dehumanize themselves into objectified monoliths. Which is one of the many, many reasons why diversity in the gaming industry is so important: if a third or a half or two-thirds of the workforce is able to assert that they are people, then it's so much more difficult to Other the characters who look like them in-game. Note: I meant to work in somewhere that a lot of this will probably seem familiar to the My Little Pony fans in the audience, since I understand the property to be pretty famous for being created for a female audience while steadfastly treating its characters like real people rather than gendered stereotypes. And is supposed to be made of Win precisely because of that. Alas, I forgot to tie that in. So here's a footnote to that effect!